Welcome to Celebrate Your Story! I want to introduce you to Benita from Chasing Quaintness. We will all miss Sandra fro Sweet Sensations and wish her all our best in her future endeavors. 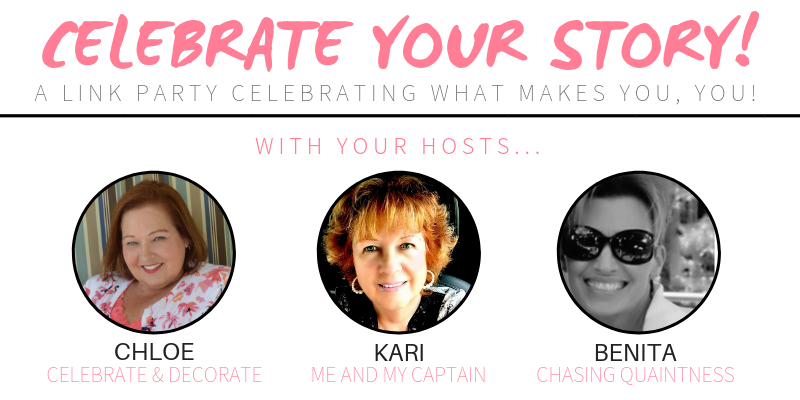 If you are visiting me from Chasing Quaintness, welcome, I am glad to have you here at Celebrate Your Story! For those of you following along my adventure with my granddaughters, I want to let you know that I am happy to report that next week they will be headed to their Mommy’s next duty station with the U.S. Army! I will miss them terribly, but I am looking forward to having more time to devote to Celebrate & Decorate! Stay tuned, who knows where I will turn up and what I will be sharing! How sweet is my selection this week? Fair Meadow Place: Saltbox Houses on Jelly Bean Row. 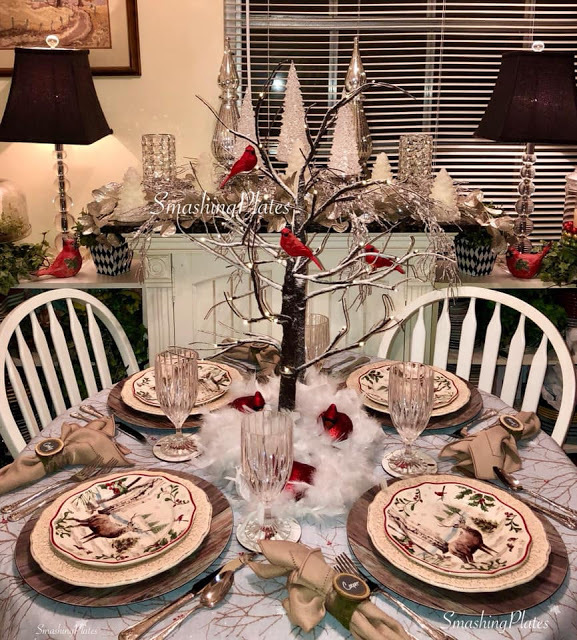 Barbara’s sweet little tin house and matching napkin rings are perfect with her Pier One plates. You have to see her inspiration from St. John’s Newfoundland! Kari’s pick for a feature this week comes from The Dedicated House. 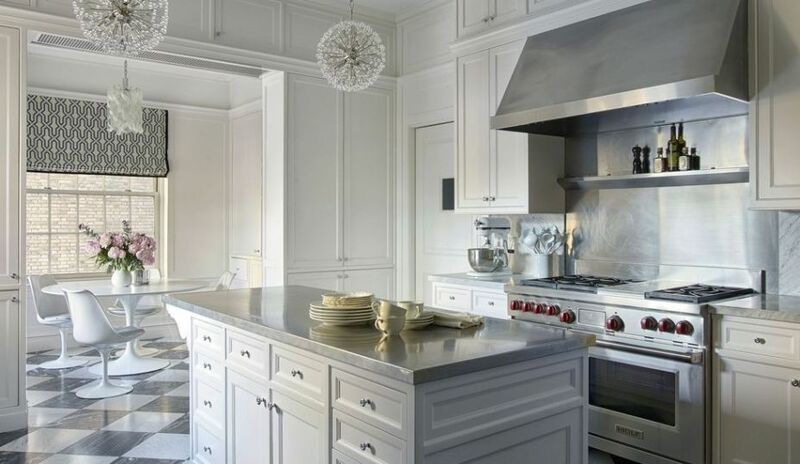 If you are looking for Kitchen Lighting Trends, check out her post! Our new hostess, Benita picked this great DIY on Installing a Slab Door from Simply Beautiful by Angela. 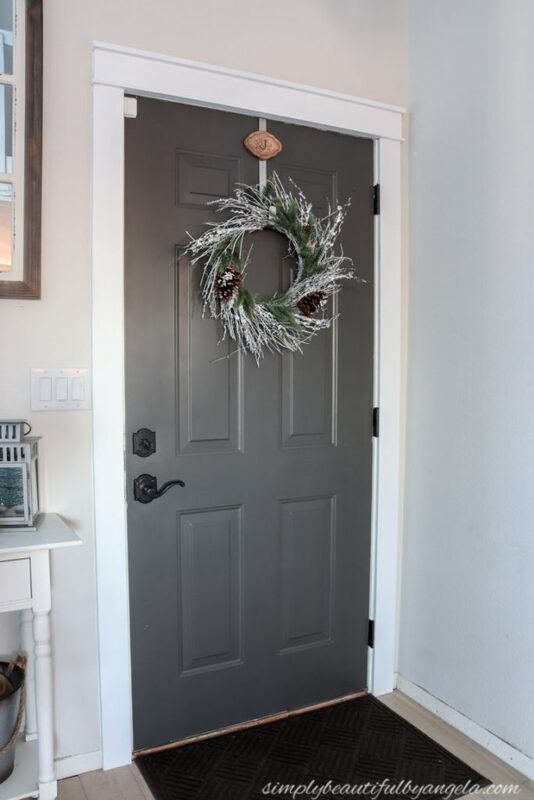 Does your front door need an update? Angela shows you how! The most clicked link this past week is this Winter Woodlands tablescape from Smashing Plates. Catherine has done such a lovely job with this tablescape that I feel like I need to bundle up to stay toasty warm! You can link up 3 posts: Home decor, Tablescapes, Gardening, Recipes and more! Thank you Chloe! I love those tin houses, so adorable! Thanks for the party, Chloe. No doubt you’ll miss your granddaughters, but what great memory making times you’ve had over the last several months. Hope you have a lovely week. Great features. Thank you Chloe for your 165th Celebrate Your Story. Have a lovely week. Thanks so much for hosting each week!! I truly appreciate it! Thanks so much for hosting! I’m linking up with a short story prompt SUNSHINE IN THE PARK that has been added to our SHORT STORY PROMPT LINK PARTY! Won’t you join us in the creativity and fun? Also, 12 TASTY GAME DAY RECIPES! Thanks so much for hosting—always enjoy seeing and participating in this party! Thanks so much for hosting Chloe. I know you will miss those sweet granddaughters! 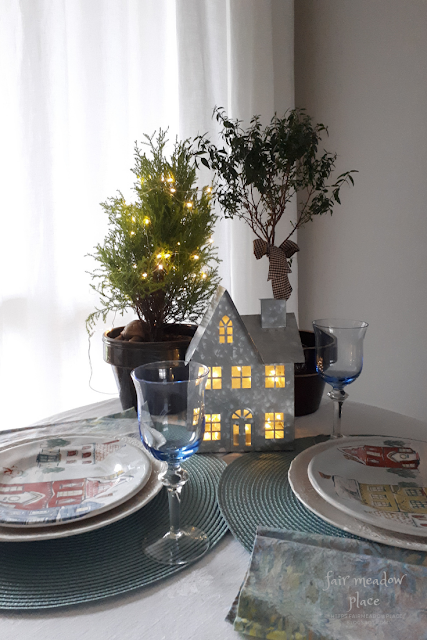 Thank you so much, Chloe for featuring my post on Set the Table – Saltbox Houses on Jelly Bean Row. It is always an honour to be featured. Have a wonderful week. Thank you, Chloe, for the good wishes and welcome Benita. I know the girls returning to their mom is bittersweet but it’s awesome that they will be together. It’s also great that you will have more time to dedicate to Celebrate and Decorate. Lots of interesting links this week and choosing just three will be a challenge. Thank you so much for the feature ladies. I’m running way behind on my blogs and what a great surprise to scroll down and see my post on your page. It’s always a great honor to be featured among so many talented ladies.